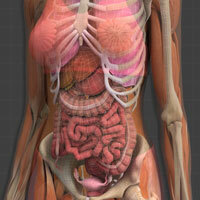 Zygote has a 3D anatomy collection specially designed to be used in software. Now, fully interactive 3D anatomy models can be used within software, making the benefit of fully immersive 3D learning a reality in medical applications. 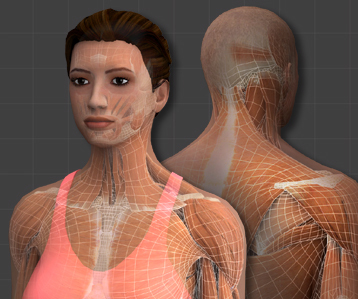 Zygote now licenses new 3D anatomy models optimized for incorporation within software programs. That’s great news if you are looking for the best way to teach human anatomy or physiology! At Zygote, our goal is to show the world the beauty and miracle of human life with the most comprehensive, accurate, valuable, and beautiful 3D anatomical content. We are looking for the right partners who share our vision. Zygote provides 3D polygonal models for software that are beautiful, detailed, organized, and efficient; optimized so that you and your end users can quickly and efficiently work with exactly what is needed. Models are delivered with textures applied in your preferred 3D animation formats. We support all major formats including Maya, 3D Studio Max, Cinema 4D, Lightwave, obj, and Softimage. Zygote also makes products specifically for CAD engineers and Animators/Illustrators. Zygote Male and Female VR Anatomy Models include every anatomical system of the human body and are licensed as complete collections or as individual components. Contact us for special VR licensing and pricing information at 801.765.4141 x 102 or by using our contact us form. For software, models need to be accurate, detailed, beautiful, and light; heavy 3D models bog down download times and processors. Our new comprehensive collections of real-time anatomy models are optimized to a perfect balance of efficiency, which maximizes their value in software. Comprehensive – Zygote anatomy models include every system of human anatomy, fitted together within an individual body. Accurate – Zygote anatomy models maintain important anatomical features. Valuable – Using 3D models within software dramatically increases the ability to teach, illustrate, and engage end users. Beautiful – We see brilliance in the symmetry, design, and proportion of anatomy. Our models are created to help you inspire this same sense of awe and wonder. When you license 3D anatomy from Zygote, you immediately realize that our quality is driven by our high standards. Medical accuracy – Created with the best resources and technology, you can count on the highest standard of medical accuracy. Organized Data – Concise hierarchies group anatomical features into systems within bodies. Texture maps are pre-applied to geometries and delivered in your native formats. Image files and geometric groups are named clearly and appropriately. Clean and Efficient Geometry – Zygote geometries are created primarily with quadrilaterals, focusing resolution on important anatomical features. Ultra efficient meshes vastly improve download times and processor speeds. Acquiring a license of Zygote real-time 3D anatomy models enables you to create software utilizing imbedded 3D content. VR License agreements allow developers to incorporate and distribute 3D content locked within software. "Zygote's Male and Female Anatomy Collection has provided us with an excellent model set of anatomical structures, which form the fundamental basis for our LINDSAY Virtual Human software. With LINDSAY we create software for presentation and explorative learning in medical education. Being able to incorporate high-quality and accurate 3D representations of human anatomy into our software and providing interactive user interfaces for inquiry-based learning is extremely important. Zygote's models are giving us exactly that. Furthermore, Zygote's Anatomy Collection is being updated constantly, so that models become even more detailed and refined. This gives our students better access to high-quality learning material and a rich, engaging, and inspiring learning environment, which is at the core of the University of Calgary's Medical Education program."